A big thank you and well done to all the children who made Easter bonnets and eggs this week. They were all fantastic! This entry was posted in Year 2 and tagged Art on April 11, 2019 by MissGregory. We enjoyed making and testing our own boats this week to learn a little more about forces. Children worked excellently as a team and made fantastic predictions about which boats would float. This entry was posted in Year 2 and tagged Science on April 10, 2019 by MissGregory. 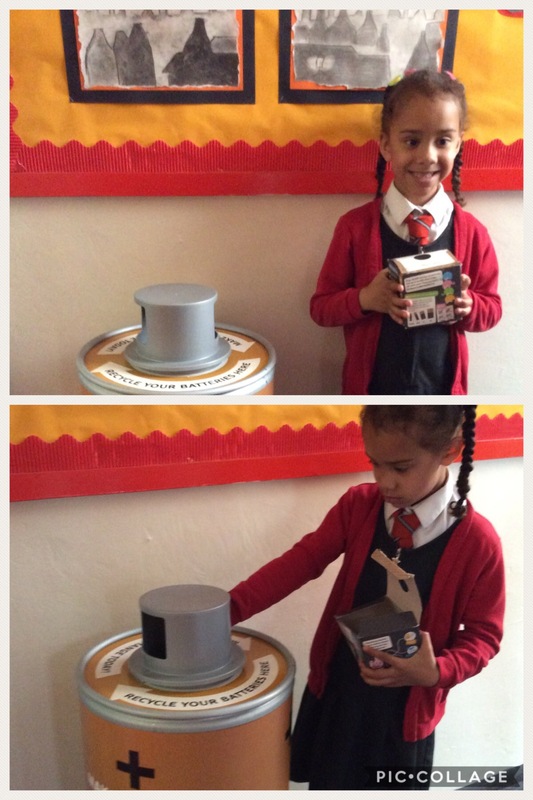 Thank you Sienna for bringing a box full of batteries to be recycled. This entry was posted in Year 2 and tagged Eco on April 8, 2019 by MissGregory. Today was the first day of spring and what a lovely sunny day it has been! Children have once again enjoyed our outdoor area for both learning and play. 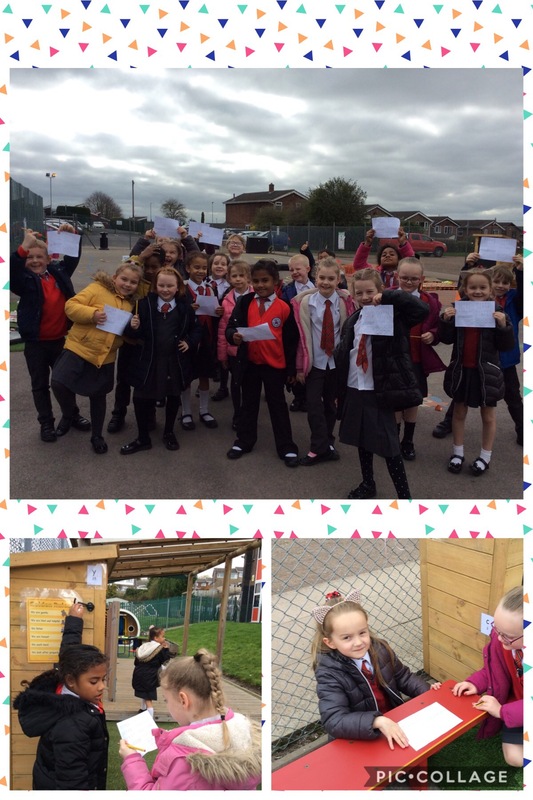 We used the area as a stage to be news reporters reporting on the Great Fire of London and in Phonics hunted for words with e-e. Children have also enjoyed making superheros and practising their scooting skills. This entry was posted in Year 2 and tagged English on March 20, 2019 by MissGregory. Well the weather might not be as sunny and warm as last week but it hasn’t stopped us enjoying our outdoor area. 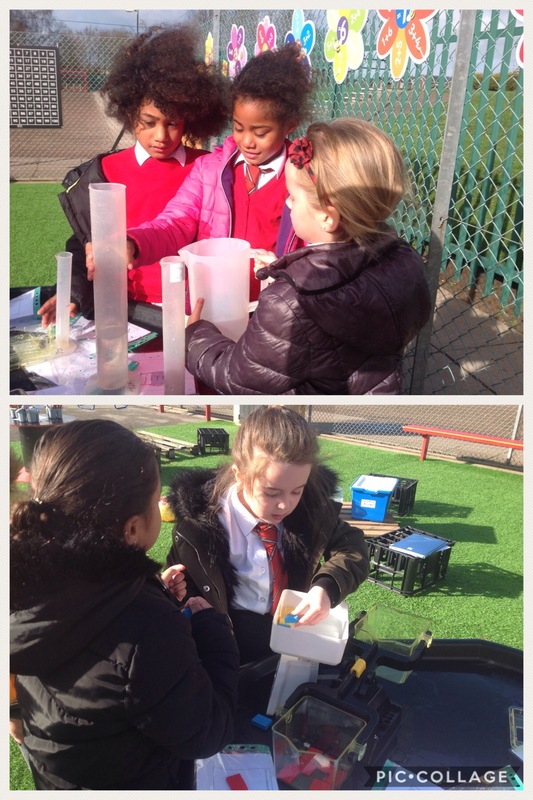 The maths area today was set up with measuring jugs and scales with challenges encouraging children to measure different quantities. Children made some excellent measurements – even calculating what the amount was when there was no number e.g. If the water reached between 50ml and 60ml children understood it was 55ml. This entry was posted in Year 2 and tagged Maths on March 5, 2019 by MissGregory. 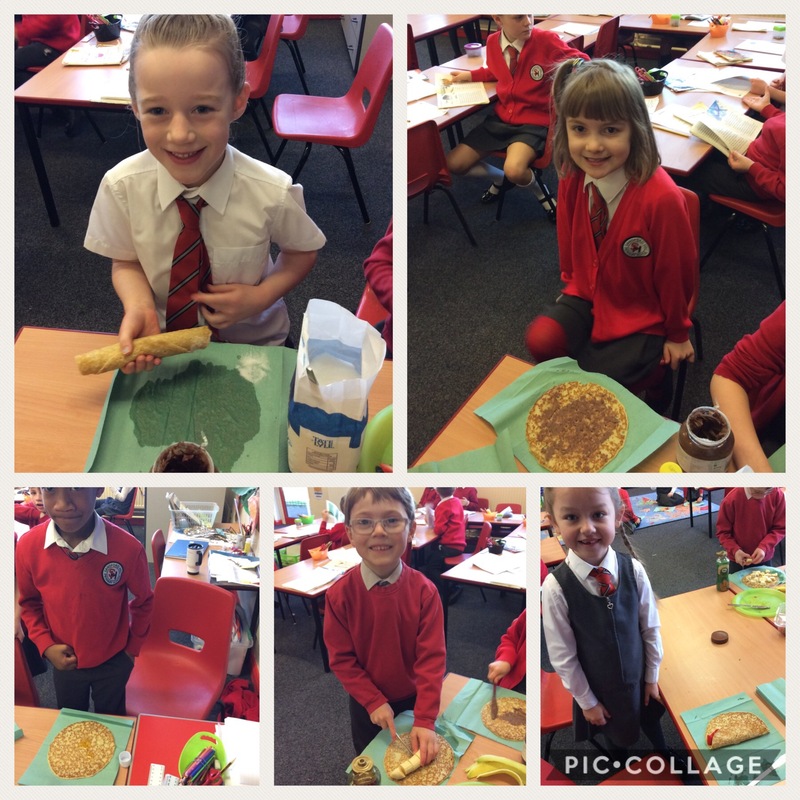 Children enjoyed making a pancake with their favourite topping on earlier this morning. Which would you choose: golden syrup, chocolate spread, strawberries, bananas or sugar and lemon? 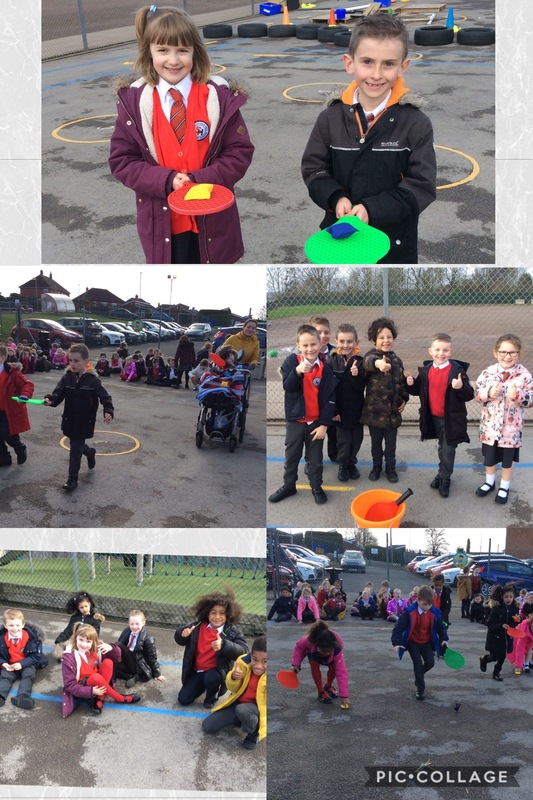 We also enjoyed our pancake races. This entry was posted in Year 2 and tagged S.M.S.C. on March 5, 2019 by MissGregory. Children enjoyed learning in our ever improving outdoor area this week and of course the sun at the start of the week helped! 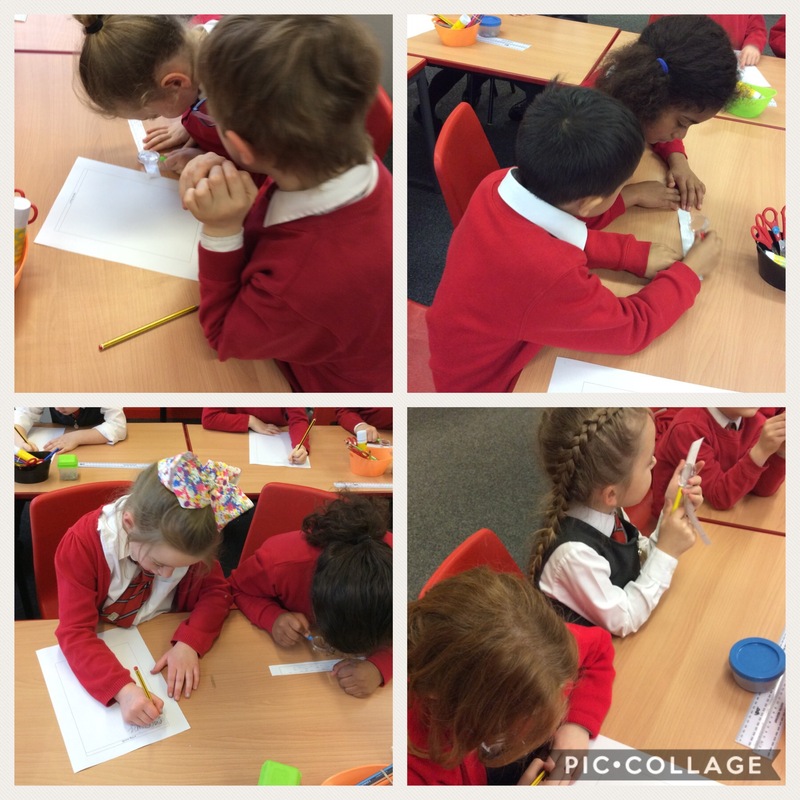 We used a range of writing resources to ensure we could correctly spell some of the Year 2 common exception words and developed our mathematical knowledge by sharing the resources outside to help us understand more about division. Some children also had the opportunity to practise their reading skills with a new game in the sun. Children have been really enthusiastic about their learning and their follow up work in the classroom has been fantastic. This entry was posted in Year 2 and tagged English, Maths on March 2, 2019 by MissGregory. This week in Phonics, we have been learning how to add different suffixes to words ending in ‘y’. We now know that we must change the y to an i when adding -er, -est or -ed for example copy becomes copied. We also know that we keep the y when adding -ing e.g. copy becomes copying. This afternoon children were on the hunt (using their magnifying glasses) for words which fitted our new spelling rules. This entry was posted in Year 2 and tagged English on February 28, 2019 by MissGregory.